A, Precontrast T1-weighted image shows high signal from the left cochlea vestibule and horizontal semicircular canal. The signal is hyperintense with respect to brain tissue (arrows). 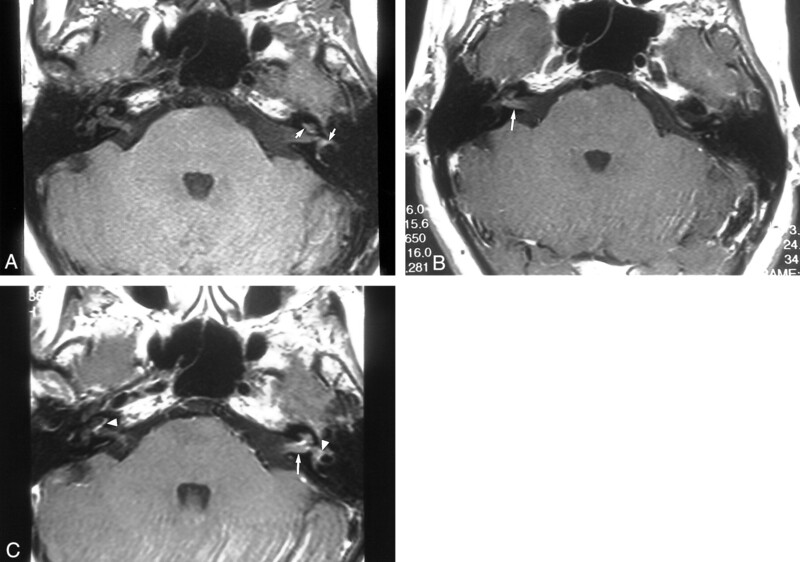 B and C, Contrast-enhanced T1-weighted images demonstrate bilateral enhancement of the divisions of the eighth cranial nerve (straight arrows). Also demonstrated is enhancement of the basal turn of the cochlea on the right and the vestibule on the left (C, arrowheads).